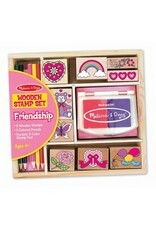 Watch your little one make thoughtful and fun cards, fill scenes, and decorate envelopes, notes, and notebooks with the Melissa & Doug Friendship Stamp set. 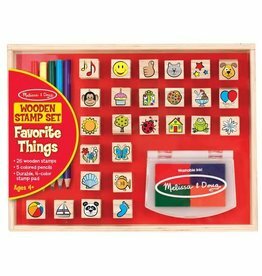 This stamp set not only develops your little one’s creativity but it also develops fine motor skills and color recognition skills. 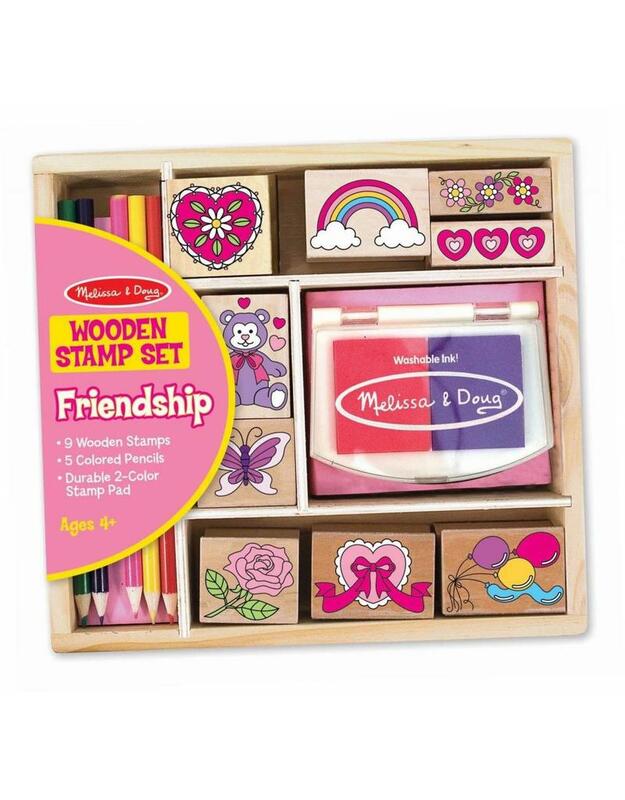 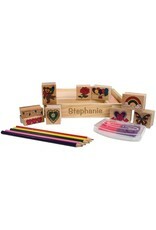 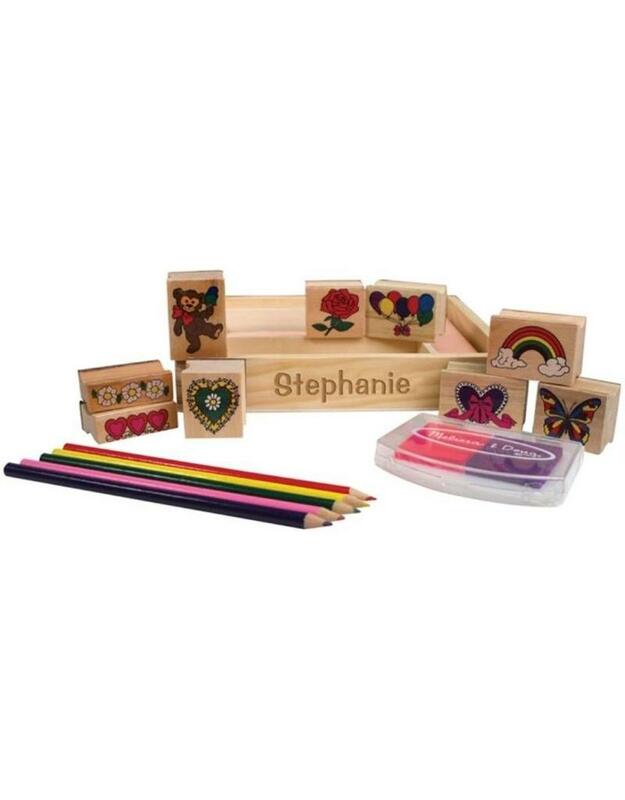 This set comes with nine wooden stamps, a two-color inkpad and five colored pencils.